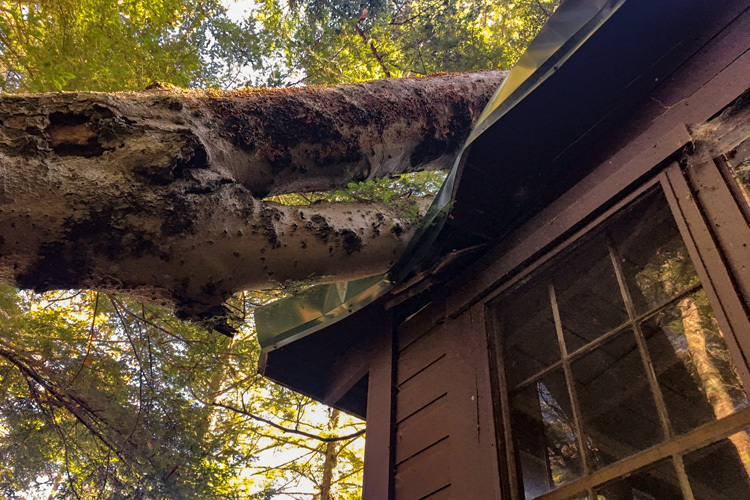 Posted on November 7, 2018 by Ryan D.
You might think that things quiet down around Wildwood once camp is ended for the season, but you’d be wrong! After the campers and counselors have all gone home (and after the staff gets a bit of much-needed vacation time), it’s time to squeeze in as many projects as we can before the snow flies. We’ve been hard at work making some exciting improvements to Wildwood’s facilities in preparation for another fantastic summer. The health center is getting a facelift, including new flooring, energy-efficient windows, and an additional bedroom for the healthcare staff, all of which will give campers and staff a better experience when they are in need of care. 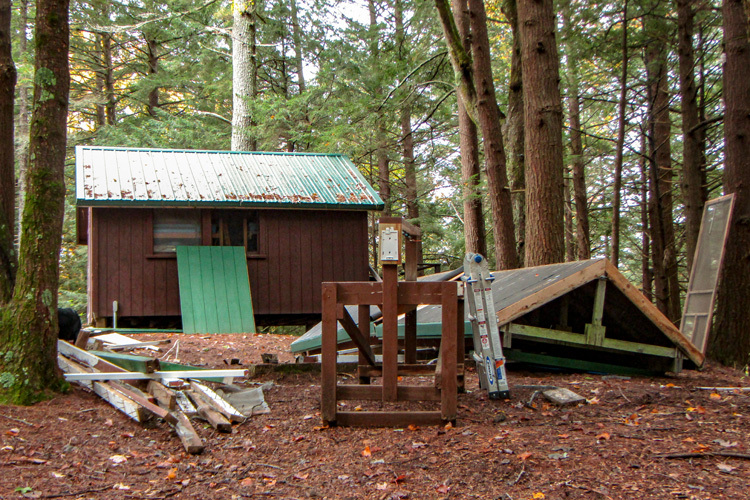 We demolished Carson Unit’s bathroom and are building a new bathroom which will be ready for camp next summer. Demolishing Carson’s Bathroom to make way for a brand new one! Surprise! Fall storms knocked down quite a few trees, including one that fell on the roof of Emerson. There was a little roof damage, but nothing our property whiz, Astro, can’t fix. It looks bad, but nothing the Amazing Astro can’t fix! We are building new tent platforms for the Dillard and Thoreau units, using fresh and sturdy pressure-treated wood. These and the many other repairs and updates are all part of our larger goal of making summers at Wildwood better and better every single year! If you love Wildwood and want to help us continue to improve our property, please consider making a gift to our Operating Fund. We are grateful for your support! 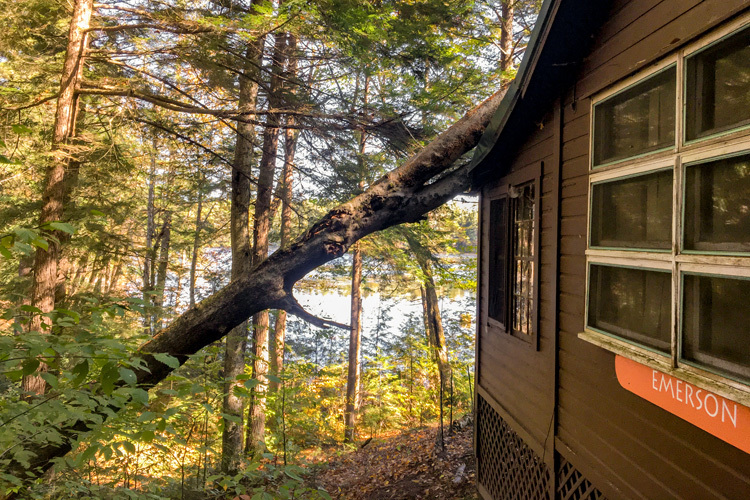 Registration will be opening soon for 2019, including our NEW Wildwood Day Camp, a special 3-day “mini” overnight camp for 7-8-year-olds, and new teen adventure trips to the Berkshires, Pioneer Valley, and Adirondacks. Stay tuned for more updates! This entry was posted in Summer Camp on November 7, 2018 by Ryan D..